Sportsman's License includes two turkey tags. One-day hunting license is $55 and includes one turkey tag. Three-day hunting license is $125; five-day hunting license is $180; and the annual hunting license is $350, with two turkey tags. This great state is known for greenheads not gobblers, and maybe there's a reason for that. Upside: This hunting destination offers more than 3 million public acres, with 650,000 overseen by the Arkansas Game and Fish Commission (AGFC). Nonresidents can choose from many licensing options. Downside: As mentioned here at the start, there are many management concerns in the air about Arkansas turkey populations. Some brief history . . .
Back in 2009 the AGFC voted to abruptly cancel the fall turkey season, even after it was officially listed in the lawbook. This hinted at declining flock populations, now estimated at "130,000 to 140,000" according to the National Wild Turkey Federation. While Arkansas is a turkey hunting destination, we can only give it a "C" grade. By definition, that means "satisfactory." Insider viewpoint: Some of the best Arkansas turkey hunters I know travel widely out-of-state for their passion. Then again, many of us do that . . . Regulations vary, so check AGFC information closely. Then check these hunting laws again to be sure. Hunter education cards are also required for anyone born after Jan. 1, 1969. Go here for the 2019 Arkansas turkey hunting season dates and details. Public-land opportunities can be found here. Fun Fact: Well, "fun" probably isn't the word. Maybe "necessarily detailed" is more like it. Arkansas hunting regulations are somewhat unique when compared to some other states . 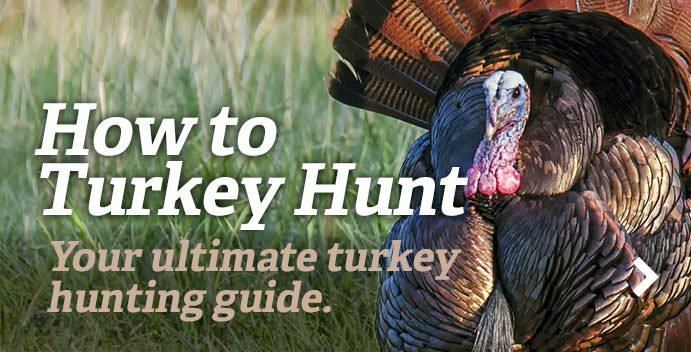 . .
Go here for Realtree turkey hunting tips, tactics, photo essays, blog posts and more.